DETROIT — People who own or lease late-model Chevrolet, Buick, GMC or Cadillac cars in certain cities can now make money off their vehicles. GM’s mobility unit, Maven, said it is testing a new peer-to-peer car sharing offering through the Maven app in Detroit, Ann Arbor, Mich., and Chicago. Peer Cars allows those who own or lease a 2015 model or newer GM vehicle to list the cars on the Maven app for rent to others when the owners aren’t using the cars. The owner keeps 60 percent of the revenue from renting the car; Maven gets the balance. The idea is similar to Airbnb, which is an online market where people can list their properties for short-term rentals to travelers. In this case, the demand for car sharing is strong, said Julia Steyn, vice president of GM Urban Mobility and Maven. Steyn said a car is one of the most expensive things to own and leaving it to sit idle is a wasted asset. Maven’s peer-to-peer offering is a way for owners to “offset their vehicle investment,” she said. Maven is now available in 17 cities. It is an on-demand mobility sharing service available through an app. Members can rent cars by the hour, the day, the week or the month. On the Maven app, Peer Cars will be available alongside Maven Cars for consideration by more than 150,000 current Maven members, she said. In Detroit, Maven currently offers 50 cars. If 20 owners show interest in renting their personal cars, Steyn said, that’s a 40 percent increase in vehicle inventory to meet growing demand for ride sharing. Peer Cars will work the same way Maven does now. A person looking to rent a vehicle goes on the Maven app, selects a car they like for the price they want, goes to the car’s location, uses their phone to unlock the vehicle and “off you go,” said Steyn. If it’s a Peer Car, it will have the Peer Car icon next to it on the Maven app, but that’s the only difference. The owner and the renter never have to meet or exchange keys, she said. A car owner who wants to list a vehicle for rental will fill out an application with Maven providing the vehicle identification number to see if it qualifies by being 2015 model year or newer. Maven then schedules a time to bring the car on to the platform. “We come out and take pictures of car and install the accessories that allow a phone to open the car,” said Steyn. The owner chooses how or when they put their car on the platform. Maven offers owners a suggested price range for their car rental, which will be about 20 percent up or down from Maven’s other rental car prices. 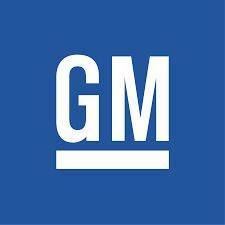 During reservations, all vehicles are insured through GM’s $1 million insurance policy, GM said. Also, every driving member must be vetted by GM before the driver is approved to use the service. Owner support is available 24 hours a day, seven days a week from trained Maven and OnStar advisers. Maven’s team will analyze the data from the Peer Cars test group in the three cities before then rolling it out more U.S. cities in the fall, GM said in a news release.